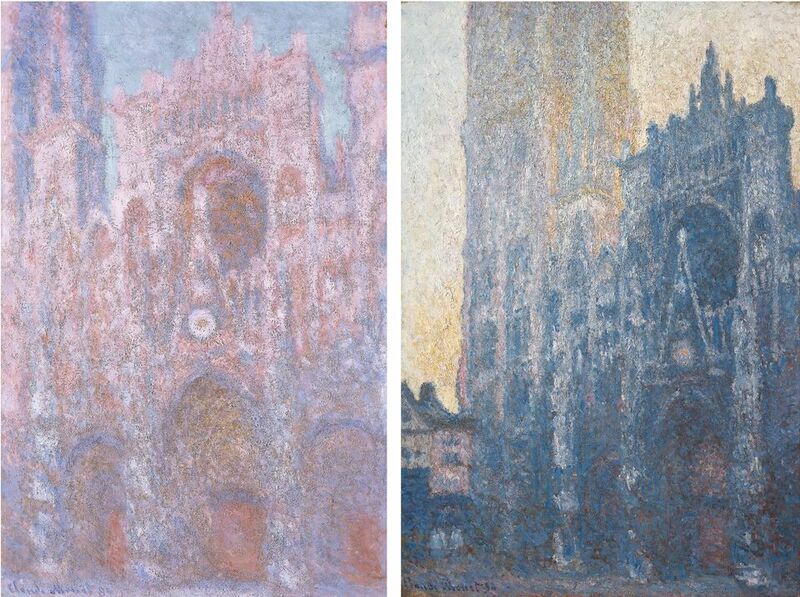 Kazimir Malevich described Claude Monet’s Rouen cathedral series as of “capital importance for the history of art… [it] forces entire generations to change their conceptions”. The Gothic subject made Monet a prisoner of a project he called his “cliff”, as he repeatedly returned to Rouen in 1892 and 1893 to capture the shifting colours under different lights, times of day and weather in 30 paintings. Monet’s efforts to pin down the instantaneous, and the fleeting character of apparently stable architecture, were later echoed down the decades as a standard architecture school exercise in both looking and the material effects of design decisions. Seven of the Rouen paintings will be included in the exhibition Monet and Architecture at London’s National Gallery, alongside other series by the artist, including ten of Argenteuil and the Parisian suburbs, eight London paintings, and nine late depictions of Venice from 1908. The artist’s aim, he said in an 1895 interview, was not to paint a house or a bridge but the air that surrounds the object. Water Lilies in the National Gallery’s collection is, according to a 2015 survey, Britain’s favourite painting so the museum will be counting on a blockbuster after recent news of rapidly falling visitor numbers. It has been 20 years since London hosted a monographic show of the painter. It is also an opportunity to explore another side of an artist popularly seen as concerned with the bucolic, gardens and the sea rather than with the urban. The 75 works on display will range from the picturesque villagescape to the modernity of the railway station, such as in La Gare Saint-Lazare (1877). The curator Richard Thomson’s book on the subject will follow in May. Thomson notes that the architectural theme – which is present throughout five decades of the artist’s work – was more than just a compositional device, and could also suggest the absent presence of humans. The London show brings more Rouen paintings together than has been achieved since a 1994 exhibition in the city that gathered in 16 of the cathedral canvases. The exhibition is sponsored by Credit Suisse.